UMG/Jonathan MannionYoung Jeezy has been arrested after he was found to be in possession of an assault rifle, TMZ reports. The rifle was found after police in Irvine, California executed a search warrant on the rapper’s tour bus Sunday at the Verizon Wireless Amphitheater. The warrant was issued in connection with the investigation into the shooting death of a 38-year-old man at the Mountain View Amphitheatre in Mountainview, California on Friday night. 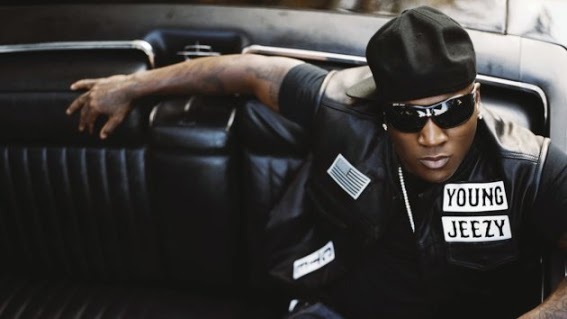 The shooting occurred during a stop on the Under the Influence of Music Tour, which features Jeezy and Wiz Khalifa. TMZ cites law enforcement sources as saying they believe the assault rifle belongs to Jeezy, and adds that several members of Jeezy’ entourage also were arrested for gun possession. According to the gossip site, the rapper is being held on $1 million bail and is still in custody.